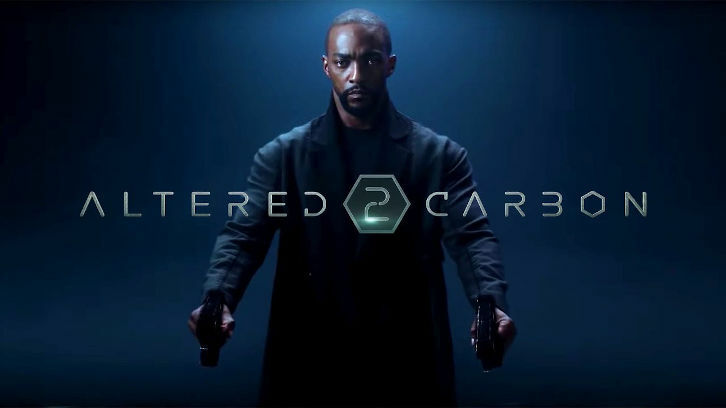 Netflix is finally confirming the renewal which we reported in December with Anthony Mackie taking over the lead role of Takeshi Kovacs, previously played by Joel Kinnaman. Alison Schapker (Scandal, The Flash, Fringe, Alias) has joined as co-showrunner alongside Laeta Kalogridis. Netflix has ordered additional episodes of Altered Carbon from Skydance Television. The series is based on the classic science fiction novels by Richard K. Morgan. Laeta Kalogridis will return as co-showrunner and executive producer. Alison Schapker joins the series as co-showrunner and will also serve as an executive producer. David Ellison, Dana Goldberg and Marcy Ross will executive produce for Skydance. James Middleton (Terminator 3: Rise of the Machines, Terminator: The Sarah Connor Chronicles), will serve as an executive producer. Looks like Netflix has quietly renewed their upcoming Sci-Fi drama Altered Carbon for a 2nd season, 6 weeks before its series premiere. Per ProdWeek, production on season 2 is set to begin in October of next year in Vancouver. Altered Carbon premieres February 2nd on Netflix.